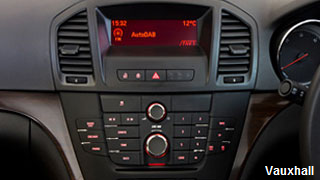 Numerous Vauxhall car owners have been complaining about a loss of DAB functionality on their in-car radio systems. The fault became widespread during the week commencing 15th February, and car owners have taken to various internet forums to complain about the issue and a516digital has also had a number of emails from affected users. Because the problem, which causes a "box error" message on in-car systems, coincided with the trade launch of the new Sound Digital DAB multiplex on the 15th February, many users are surmising a link between the recent DAB changes and the in-car systems failing to function. At present, there's no official explanation to explain or confirm the actual cause of the problem and Vauxhall has been quiet about this issue. One internet forum user has posted a way to reset an affected DAB device. In the meantime, affected Vauxhall users should continue to raise the issue with the manufacturer: Vauxhall Customer Care can be contacted on 0800 026 0034. The Queen will be able to enjoy better DAB digital radio reception at Sandringham, thanks to a new BBC National DAB transmitter site close to the edge of her Estate. Officially known as the King's Lynn site, the new DAB transmitter provides coverage into parts of East King's Lynn, Sandringham and Dersingham. It's one of a number of BBC National DAB transmitters recently set-up along the Norfolk coast. The next DAB mast north of Sandringham is at Heacham. Other sites that are confirmed by the BBC as gone live around the end of February are: Dunkirk (Kent), Ardovie Quarry (Angus), Amlwch Nebo (Anglesey), Ludlow (Shropshire), Woodbridge (Suffolk), Swaffham (Norfolk), Mynydd Pencarreg (Carmarthenshire). From Thursday 14 April to Sunday 17 April 2016, BBC Radio 2 will be offering a 1950s pop-up station on DAB, following hot on the heels of this month's Country pop-up station, which broadcast over the weekend. The station is part of a season of programmes across the BBC in April looking at the music of the fifties and sixties. Pop-up stations have in the past been credited for boosting DAB radio sales. However users of DAB Electronic Programme Guides need to be aware that this service is turned off to create capacity on the BBC DAB multiplex during times when a pop-up station is active. Providing DAB EPGs have been updated on the Monday prior to a pop-up station launching, the 7 day programme data will be refreshed the following Monday. The music and sport station for Central Scotland disappeared from DAB at the end of February, promising a swift return. Central Scotland multiplex operator Switchdigital revealed in a submission to Ofcom that the station has surrendered its DAB broadcast licence, so that it could no longer be carried on DAB. Now Rocksport has said on its Facebook page that "we are hopeful that there will be a return by the end of the month under new owners."